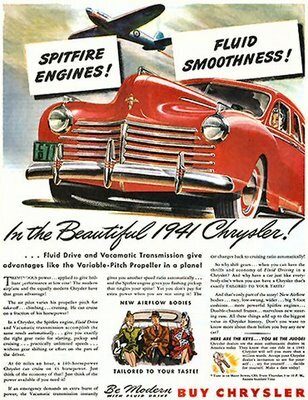 "New Airflow Bodies Tailored to Your Taste"
By 1941, the popularity of the Spitfire was already firmly established on the other side of the Atlantic. 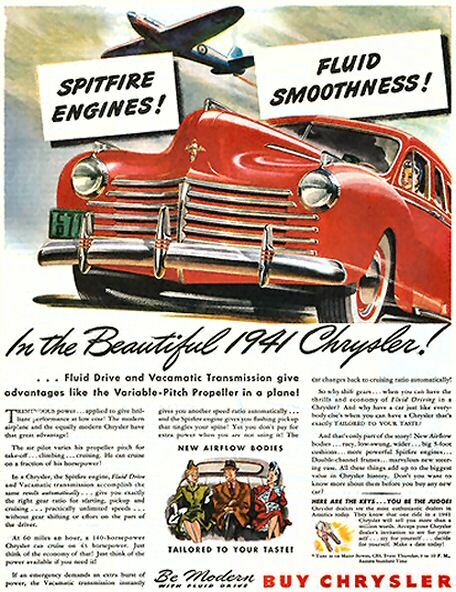 This 1941 Chrysler advertisement builds heavily on the former’s fame, promising “Spitfire engines” and “Fluid Drive and Vacamatic Transmission” which were supposed to “give advantages like the variable-pitch propeller in a plane!”. Would you buy such a car?